Its price tag suggests that the Xperia U is an entry-level smartphone, but its powerful chipset makes sure performance is as good as on the high-end Xperia S. Now add the cool design with the interchangeable bottom caps and the color-changing transparent stripe and you get what is undoubtedly one of Sony best efforts this year. 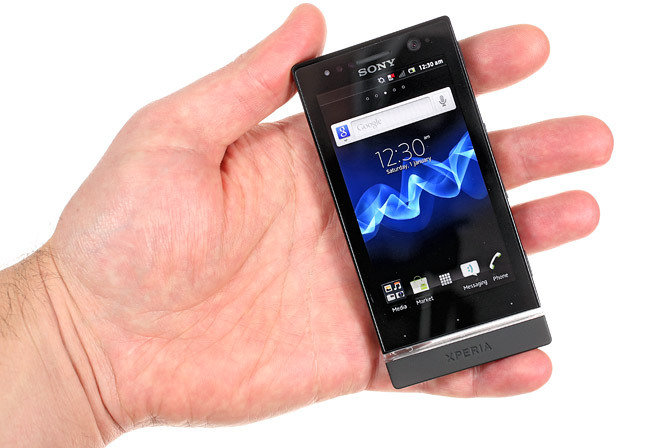 The Sony Xperia U aims to deliver the same solid smartphone experience as the HTC One V and Samsung Galaxy Ace 2, while undercutting their prices and, on paper at least, it succeeds. Under the hood, the Xperia U packs a NovaThror U8500 SoC, featuring a 1 GHz dual-core Cortex-A9 processor, a Mali-400MP GPU and 512MB of RAM. It runs Android 2.3.7 Gingebread, but Sony says the Ice Cream Sandwich update is already in the works and should be out in the coming weeks. The 3.5″ FWVGA screen offers the kind of image quality that is hard to come by in this price range and you get a lot of connectivity options. The main camera is a 5MP with an LED flash and is capable of recording 720p videos at 30fps. The catch is the 8GB internal memory isn’t backed up by a microSD card slot and you can only access 6GB of storage. As for the design, the Xperia U’s most eye-catching feature is its transparent stripe, which it shares with its NXT siblings. This one comes with a twist though, as it changes its color according to the theme you’ve selected. So for example if you’ve chosen a green theme for the homescreen, icons and the UI, the stripe will also glow green. In addition, the cap at the bottom of the phone, below the transparent stripe is also easily replaceable. It looks as if the Sony might be able to steal the mid-range show with the Xperia U. It’s time then to see the smartphone in action in our short hands-on video. We are already busy reviewing the Sony Xperia U and you should expect its review to pop up on our homepage soon. Feel free to post any questions you want answered there in the comments section below.